Why you should check expense ratio before investing in a Mutual Fund? Over the last one year, the scenario has changed greatly as the equity and hybrid funds have upped the expense rate to 2.42% on an average against 2.06% in the previous year. 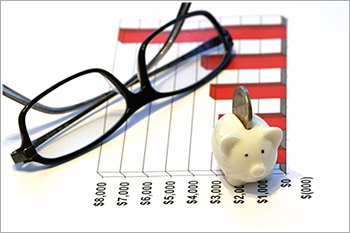 Expense ratio of a mutual fund is often overlooked by common investors as they fail to fully understand the impact of these expenses on returns. But, actually expense ratio are more or less like inflation rate that eat into the returns of a portfolio. Expense ratio are fee charged by fund house in lieu of operating a scheme. Over the last one year, the scenario has changed greatly as the equity and hybrid funds have upped the expense rate to 2.42% on an average against 2.06% in the previous year. The change of 17.5% could have a major impact on your mutual fund portfolio. For example, if an individual has to invest Rs. 100,000, then a fund charging 3.50% expense ratio and yielding a return of 15% will fetch 1,71,411.08 at the end of 5 years, while another fund charging 2.50% will fetch 1,77,774 during the same time. This explains the difference of Rs. 6,363 in returns to the investors. One of the main reasons of an ascending expense ratio is the Securities and Exchange Board's new regulations that took effect from August 2012. As per these rules, Sebi granted MFs the right to charge 30 bps more for tapping money from cities other than 15 major cities. While the move is aimed to increase investor participation from smaller cities, but this amounts to burden for all investors. Also, the service tax load has now been shifted on the investors, unlike the earlier times, when the mutual fund house used to bear the expense. This move alone has raised the expenses by 0.65% to 0.90% on the investors. Also, the sub-limit on expenses has been lifted, which means that earlier the fund houses restricted the expenses to 1.25, but now they have the freedom to charge entire 2 or2.5% as a fund management fee. Though nothing specific could be done to minimize the impact on returns, but by investing in schemes with a larger corpus like that of Rs. 1,000 crore or more could relieve investors as expense load tends to diminish as fund size increases. Index funds too have lower expense ratio, but it involves little fund management skills and therefore should be opted only if your goal is to track index.